Canoe Island Lodge is a picturesque resort located in the lush evergreens surrounding the banks of beautiful Lake George. Known for being a full-service Adirondack resort, the Canoe Island Lodge welcomes repeat vacationers year after year. Family run and operated, besides hosting family vacations and reunions, this resort graciously hosts conferences and lavish weddings. By using a targeted approach in optimizing canoeislandlodge.com, Mannix Marketing was able to increase specific keyword rankings, which helped lead to a tremendous increase in online traffic for The Canoe Island Lodge. The solid SEO foundation of the website generated during the 2 month boost flushed out some of the content, increased internal linking and streamlined website code. 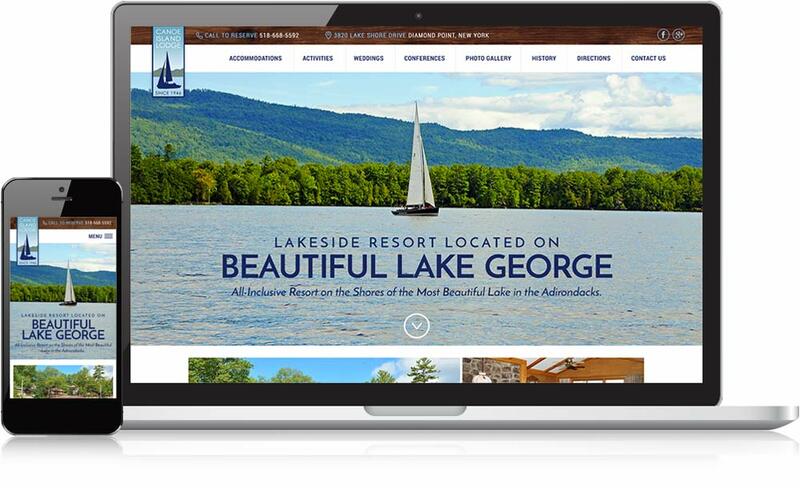 With an optimization maintenance program, the site is positioned to compete head to head in the highly competitive Lake George lodging market.